In the bitterly cold mountains to the south there lies a nation of shambling corpses and assorted undead fiends. 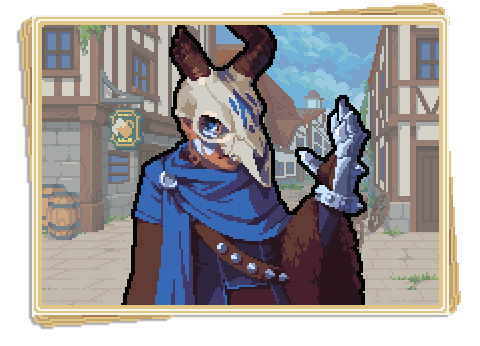 Travellers hope only to avoid meeting them on the open road, whilst would-be heroes and naive soldiers are eager to meet them in battle. They are the Felheim Legion, and they are governed by the necromancer Valder. Control over the vast masses of the undead falls to whoever wields the Fell Gauntlet, and Valder secured it at a young age. A master in the necromantic arts, Valder even created the commander Ragna from the remains of countless skilled warriors, so that he can designate military matters to her. To him, the bloodthirsty hordes of skeleton soldiers are like his children, even if they tend to lack proper etiquette (and some brains). If called to battle, Valder strikes using the powerful magic within the Fell Gauntlet to wipe out his opponents with a single hand.